Tour de France race director Christian Prudhomme has claimed it would be impossible to organise a women's Tour de France during the men's race. 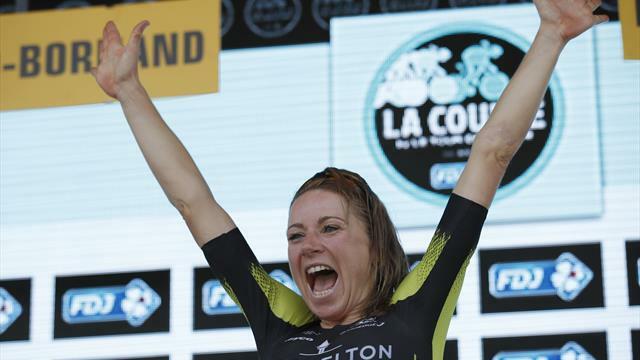 Annemiek van Vleuten won the fifth staging of the La Course event in a breathtaking finish ahead of Anna van der Breggen on Col de la Colombière last year. It is a one-day event that was run on stage 10 of the men's Tour, but there appears to be no appetite to increase Le Course to become a women's version of Le Tour. "I would not know how to organise a second event during the Tour de France," Prudhomme told Eurosport. "We do not know, and we would never get permission. It is impossible to do. "We organise many other competitions and want to develop women's cycling, but this is a no. Simply because we do not know how to do that during the Tour de France." The decision to fail to make plans for a women's Tour de France has already attracted criticism. “It should be a five to 10-day race minimum by now,” said former American cyclist Kathryn Bertine.